Eyman Plumbing began its affiliation with the Restore Omaha Conference last year after purchasing Rybin Plumbing & Heating. Rybin was an exhibitor with the Restore Omaha Conference since its inception in 2005. Kristine Gerber, Executive Director of Restoration Exchange Omaha, is glad Eyman was a conference exhibitor each of the last two years. Restoration Exchange Omaha holds the Restore Omaha Conference annually. “Eyman is one of the few companies that know how to fix those old boilers and radiators. They are such a valuable resource and l love having them come to Restore Omaha every year,” Gerber said. She said most people who attend the conference live in old houses with boilers. It’s important for them to know Eyman can help fix them. “Or if they do need to have their boiler out, it’s good to know there is someone who understands how to work with them, who won’t rip up their home getting it out, and who can custom fit a new one,” she said. Eyman expanded its involvement this year. The company sponsored the Friday opening night reception. Gerber said the event always is held in a restored building. The Pella at Blackstone (formerly the Pella Lutheran Church) was the site of Eyman’s opening night reception. 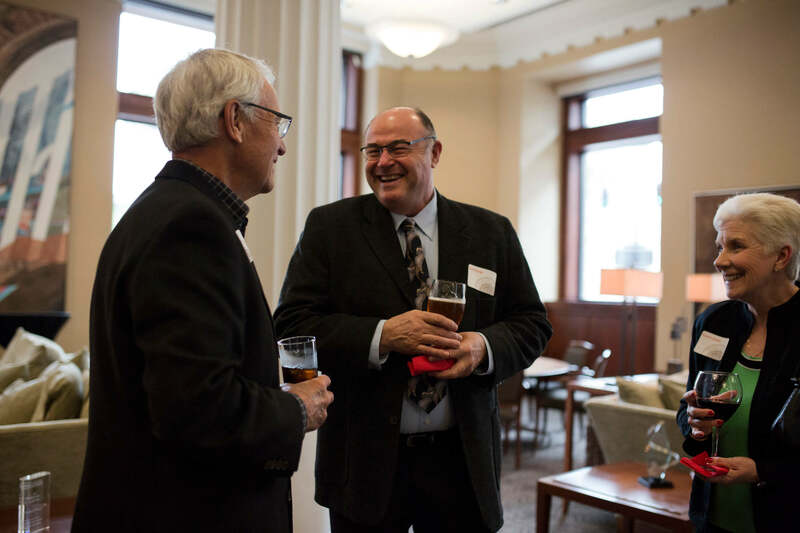 “The Pella was one of Restoration Exchange’s first ‘saves.’ We were excited to get inside and, thanks to Eyman helping us underwrite the event’s cost, we were able to highlight the work we make happen,” Gerber said. Eyman Plumbing is also a business member of Restoration Exchange. They recently acted as a cornerstone sponsor for the organization’s first ever Preservation Celebration on May 14th. Gerber said the event was an opportunity to celebrate 50 years of preservation in Omaha. “One of the groups we merged with was Landmarks, Inc. They started in 1965, setting out to save the old post office,” she said. Restoration Exchange Omaha also presented awards that evening to organizations and people who do preservation work today. Gerber said such a successful event wouldn’t have been possible without Eyman.